SIZE: AirLiner sleeve: 220mm W x 140mm H, extends from 250mm to 404mm L (including air brick) (see image gallery). 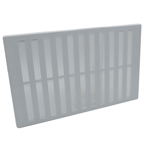 Hit & Miss grille: 271mm L x 171mm H.
EQUIVALENT AREA: 19,800mm² (198cm²) per set (tested to BS EN 13141-1:2004 and independently verified by the BRE). 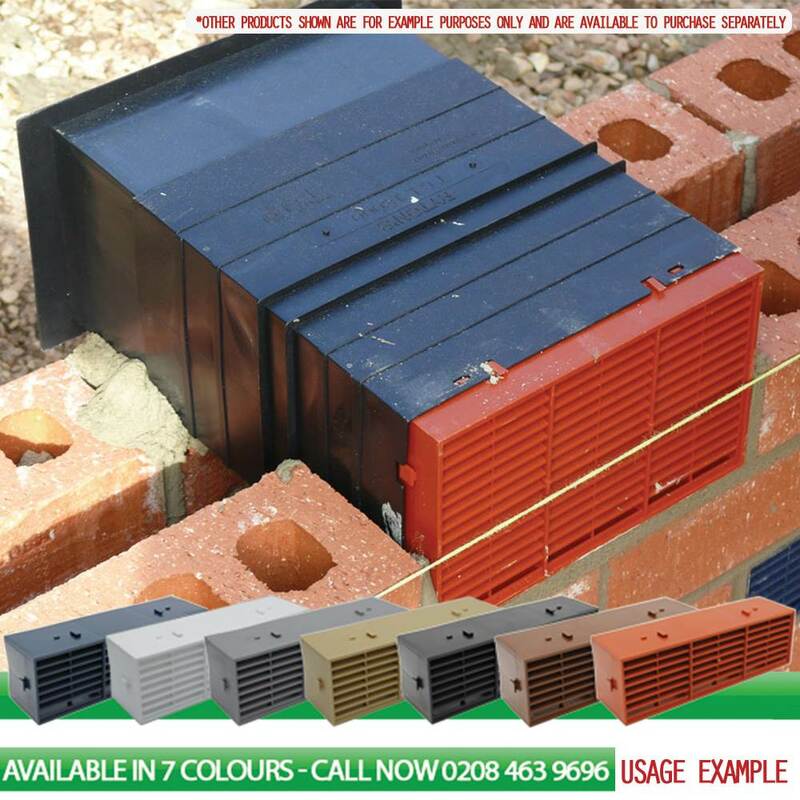 Rytons 9×6 Ventilation Set with Hit & Miss Ventilator. Telescopic cavity liner set for background room ventilation. Allows the introduction of fresh outside air into the room to disperse moisture, odours and other airborne pollutants. 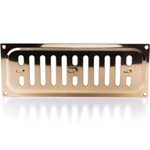 Internal hit & miss grille manually adjusted with a sliding action allowing ventilation to be controlled as required. 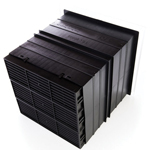 Telescopic cavity liner contains a system of internal baffles to reduce light and draughts. 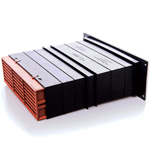 Air brick and hit & miss grille U.V. stabilised to slow down the effects of sunlight. 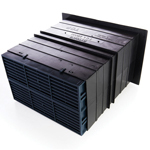 External water baffles prevent transfer of water across the cavity. Internal hit & miss grille manually adjusted with an easy sliding action giving control over the amount of ventilation let into the room. 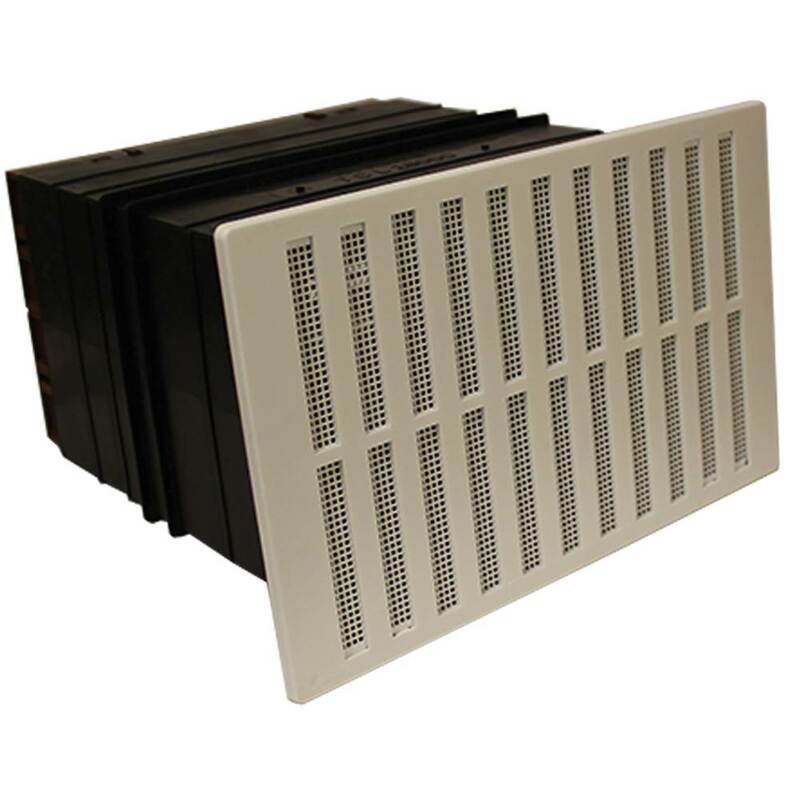 AirLiner® with Multifix® Air Brick: 220mm W x 140mm H. Extends from 250mm to 404mm L.
Hit & Miss Grille: 271mm L x 171mm H.
White internal hit & miss grille. 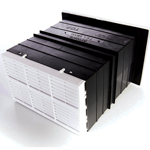 Multifix® Air Brick: U.V. stabilized polypropylene. AirLiner®: Polypropylene. Contains recycled plastic. Hit & Miss Grille: U.V. stabilized high impact polystyrene. Build in the cavity liner with fitted air brick as work proceeds. 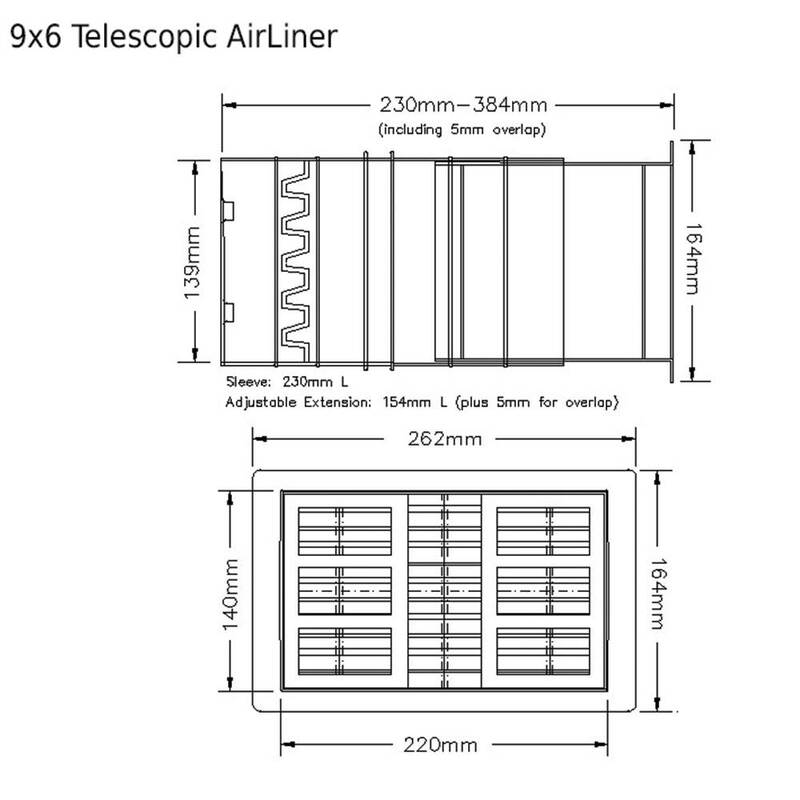 Extend the telescopic sleeve of the AirLiner® as necessary. Fasten the hit & miss ventilator into the flange of the AirLiner®. 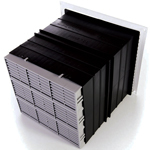 Consideration should be given to using Rytons 9×6 Cowl (ABC6) in exposed areas.